Yesterday, upon reading a friend’s account of her newborn daughter’s birth story, I couldn’t help but think about best laid plans, and how often they veer off course. And, how perfectly the phrase about best laid plans captures the always-going-awry world of parenthood. This friend of mine planned for her baby’s delivery more meticulously than anyone I know. She chose her natural birthing center long before she ever became pregnant and did everything possible to ensure the most natural experience possible. Unfortunately, all her careful planning went out the window when her baby first decided to wait until more than a week past her due date to arrive, and then showed signs of distress during the slowly developing labor. Despite months of preparing for a natural, drug-free birth, my poor friend found herself being wheeled down the hallway for an emergency C-section. Best laid plans: how they do go awry. Parenthood is full of plans gone amiss; it’s almost as if labor and delivery are nature’s way of preparing you for a life filled with the unexpected. I had my own best laid plans for my son’s delivery, most of which went out the window in the 41st week of my pregnancy. I had intended to let him arrive on his own schedule, until we went for a 41-week ultrasound and were (mis)informed by an overzealous technician that our baby was already weighing in at nine pounds (“And growing more each day!”). While my husband and I were thrilled to have such a healthy and vital baby, I became terrified for the labor I was already dreading. Two days later, in the darkness of night, my husband and I checked in for an induction with enough luggage for a three-week stay. And once again, my carefully laid plans unraveled, one by one. It turned out that labor was a far cry from what we saw in a series of horrifying videos shown at our childbirth preparation class. My experience was nothing like that of the overalls-wearing mom (seriously, who gives birth wearing overalls? ), who walked the hospital corridors and brayed loudly while rolling around on a yoga ball. Within moments of arriving at the hospital, I was given a hospital gown to wear, hooked up to a monitor and prepped for an IV. So much for the socks and tennis shoes I prudently packed so I could walk the halls and undergo natural childbirth. So much for the birthing ball, which we never unpacked from the car (given the other six bags we dragged into the facility). So much for the Jacuzzi tub I was so excited about, which never saw a drop of water during our entire stay. Since that day, there have been plenty of other best laid plans. There was my snobby attitude toward baby formula, which ended up being a lifesaver in the post-partum days when my son and I struggled mightily with breastfeeding. There have been numerous cancelled plans, countless ruined outfits, endless missed opportunities. That’s all just part of being a mom. You plan like you’ve never planned before, only to have things fall apart at the seams. You worry endlessly about one thing and then discover you were worrying about the wrong thing all along. You stress and agonize over your child’s birth, only to learn that the delivery is just the beginning of a long journey you’ll make together. As it turned out, my friend’s umbilical cord was wrapped around her baby’s neck, not two or three, but four times. As her baby traveled down the birth canal, the cord pulled tighter and tighter around her sweet baby’s neck. The natural birth she had so carefully planned may have actually spelled disaster. Who could’ve ever guessed such a thing? Those words bring tears to my eyes. You try. You do your best. You make your plans, and watch as they fall apart before your very eyes. And at the end of the day, you look down at the perfect little head of the human being you created, and you smile. Nothing else really matters. Nothing else ever will. Read parts one and two of Sara’s delivery story on her excellent blog, www.vivacatalina.com. Posted in Children, Life, Parenting, Pregnancy and tagged best laid plans, bicornuate uterus, breech baby, childbirth class, emergency c-section, epidural, external cephalic version, natural childbirth. Bookmark the permalink. “On the day you were born, you were born. And that’s all we really wanted anyway.” gave me chills! it is so very true! “they” say motherhood is the hardest job in the world. that’s why mothers have the job because we’re the only ones who’s got what it (everything) takes! what a beautiful story and i’m so happy for you and your friend that had a happy ending. thanks for sharing and congratulations! he’s beautiful! Thank you! I, too, got chills when reading my friend’s beautiful words. I hope you checked out her blog for the rest of her amazing story: http://www.vivacatalina.com. Thanks for reading! Great post! I have been reading a few pregnancy blogs lately (popular ones too!) 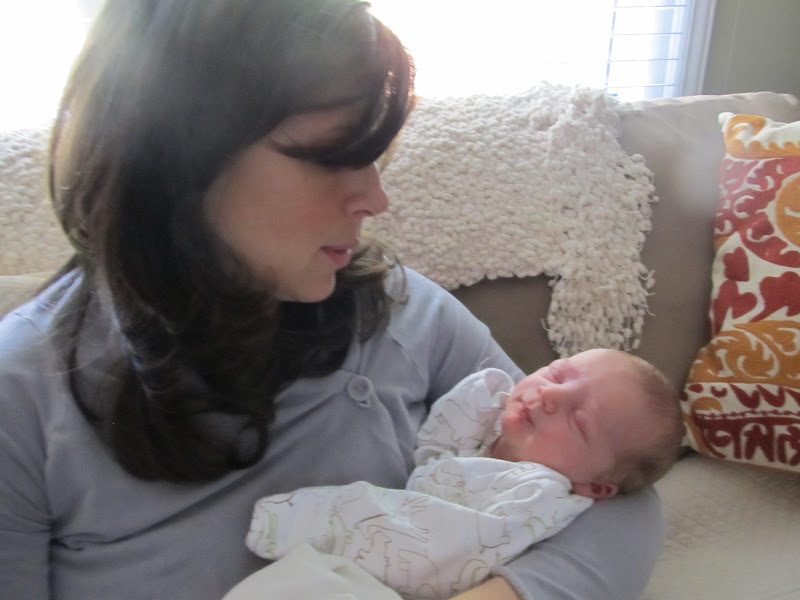 where the blogger has outlined her birth plan, natural and drug free. It reads really almost smug-like in nature and definitely may alienate women who have had c-sections or other “interventions”. While I want a natural birth for my daughter, in the end, I just want her to arrive safely, so whatever it takes, and it won’t matter how she arrives. Leah, I couldn’t agree more. I felt so much pressure to have the perfect natural childbirth experience, but I knew all along that a lot of it would be out of my control. Personally, it helped me to have a rough outline of a plan that could easily be thrown out if things went off course. Knowing there was a lot I didn’t know bolstered me to trust the process and get the job done, however it needed to be done. I wish for you the perfect childbirth for you and your daughter, whatever that looks like for you. In the end, that’s all that matters. Best wishes to you and thanks for reading! Amen! So absolutely true, and I’ve found the need to “roll with the punches” doesn’t taper off after the baby years. With a 7 year old and a 3 year old, I sometimes feel like it’s an hourly surrender, setting aside my *perfect* Mommy plans to accommodate all sorts of twists and turns. It’s exactly what my stubborn will needs, and God knew that when He let me become a Mommy. And wife to a medical student, who became a resident, who became a practicing doc. I guess I had a lot of dying to self to do! Anyway, I enjoy your writing and look forward to reading more!